Prota has traditionalized its “future-oriented” symposium series, which are organized every three years. Commemorating its 33rd corporate anniversary, Prota is preparing to organize another large-scale event to be held in Istanbul, Turkey on 12-13 of October. 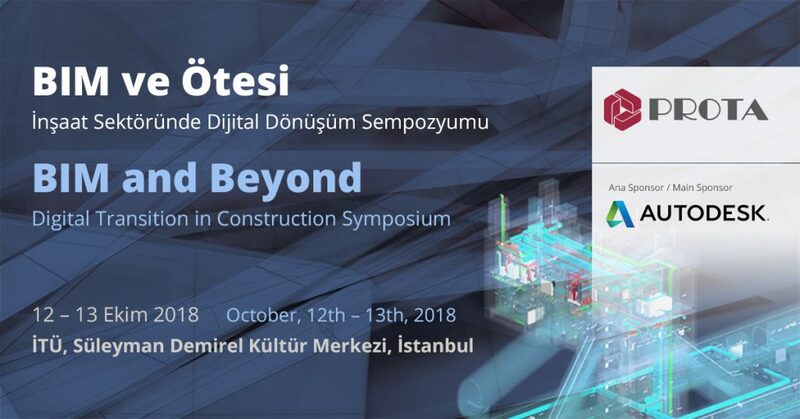 The symposium is focused on the topic of “BIM and Beyond: A Digital Transformation in the Construction Sector”, which will be enriched with the contribution of leading international and national sector professionals, professors and experts. With this event, Prota aims to contribute to Turkey’s technical infrastructure as well as to support academic studies of universities and technical knowledge of sector professionals. During the two-day event, leading international and national sector professionals, professors and experts will share their experiences, knowledge and case studies on BIM. There will be four main sessions each covering different aspects of BIM. Besides the main sessions, the event will also include Q&A panels with keynote speakers and “Experience Sharing” sessions to make the event more interactive. BIM is a process for creating and managing all of the information on a project – before, during and after construction. It the digital description of every aspect during planning, design, construction and management phases of a project.